I was first introduced to this restaurant by my students. They’d suggested going to Safra Yishun for a Rifle Shooting Session + lunch @ Pin Si Restaurant after their class graduated. It was a treat from them & these were what we had. I went to Pin Si with very low expectation, maybe because it’s a neighbourhood eatery. But I was totally blown away with the quality standard. The XO Prawn with Celery, Peking Duck, Tofu with Pork Floss & Pork Ribs were actually quite good, which led me to my 2nd visit. The Braised Superior Shark’s Fin in Superior Stock was of high benchmark, comparable to many 5-star restaurants. I was stupefied by the rich tasty stock & the big chunks of Shark’s Fin. I also ordered their 2-head Abalone aside from their Set Menu & it was so delicious that it rocked my palate! Thumbs-up! Their Fresh Scallops & Prawn Balls sautéed with Asparagus was another reason why I went back. The aroma of this spicy XO dish filled our noses before our taste buds hit the note. 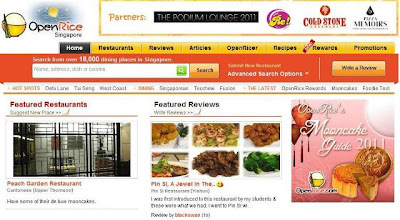 So if you’re living in the North of S’pore or running out of places to eat in town, be sure to hop over to the gem. Nice Desserts Shirley and well presented. Shirley, so sorry for dropping by less. Of course have not forgotten about you. Just trying to balance myself with work and life. More balanced now I think :D I'm waiting for you to visit Aberdeen :D Will you take me as your student? I just want to tag along for all the wonderful food :P Make me drool early in the morning. Wish I can cook all those food! Hope you have a fun day! Wow! The food looks absolutely delicious. Wow! Very impressive. Nice photos Shirley. The sharkfins soup and abalone have surely catches my attention. 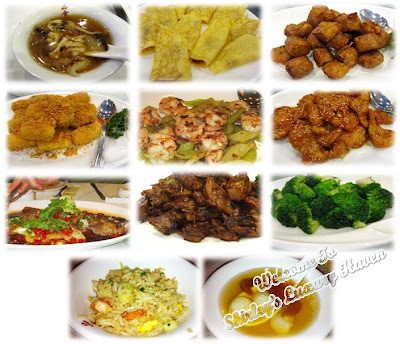 Sound like a great place to eat in with so many delicious dishes to choose from. looks like a run restaurant to try! Nava, only the desserts? R u on diet, Nava? Hahaha! Umm M, thks for dropping by! Simply Life, maybe add it to your must-visit list when u're here next time! Nikel, KIV this eatery?? Hahaha! Oh my, everything looks so yummy. Girl, you sure know how to dine well. That abalone looked delicious. I'm drooling over all the seafood dishes. Sorry I've been missing your posts. Things are a bit more hectic here now with summer and the kiddies wanting to get out more. Will catch up real soon. I never knew of this Jewel in the neighbourhood. Yishun Safra is not too far from my place; I live in Khatib, so I might check it out if I am craving for Chinese food. Students? Are you a teacher? Alisha, the tofu was delicious too! Yap, I'm a lucky gal!